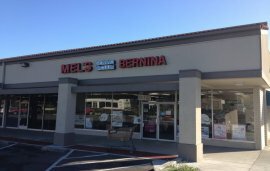 Mel’s Sewing & Fabric Center has been serving the sewing community of Orange County, California since 1956. As a family owned and operated business in our third generation of ownership, we run our stores based on a long tradition of honesty and integrity. Our customers know that we go out of our way to provide them with the most reasonable prices on merchandise and repairs. In fact, our experience, dedication and Christian beliefs guide our efforts to offer the type of exceptional service and product variety that keep customers coming back again and again! If you are in the Anaheim or Tustin area, we hope you'll drop by and see what we have to offer! Ability to lift 30-50 lbs.